It can be a complex task to choose a career. Which occupations will grow and which will not becomes very valuable information when one is planning for the future. For developing long- term projections, one needs to focus on long-term trends in population affecting the labor force. This in turn will impact productivity and output growth. Population and labor force will age and their growth rates will slow down. These long-term trends have and will continue, regardless of staggering economy. 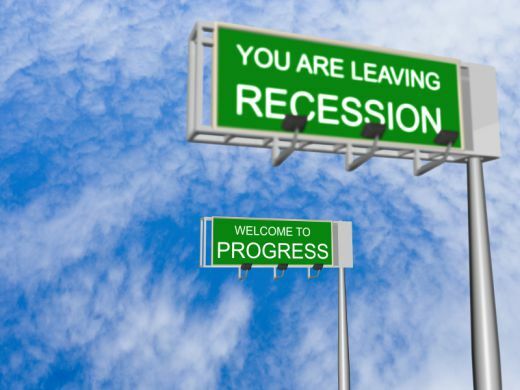 Global economy is still in the phase of reeling from the Great Recession. Employment conditions are surprisingly changing as compared to historical or normal standards. However, something handy providing some clue as to the hottest labor market trend even in a recessionary environment becomes mandatory. It is advisable to follow age-old theory of survival of the fittest, as there is no harm in finding out the top 10 recession proof jobs. In turbulent times things might not get worse. Medical professionals are one of the few careers that, despite stiff economic conditions, are hiring at an alarming rate. Careers in medical profession are expected to grow faster than any other industry. Ever growing population ensures that medical professionals will become more in-demand than ever. Definitions of various types of these professionals vary depending on different culture, political, organizational and disciplinary aspects. However, there will be a consensus that profession is growing rapidly. People cannot stop going to doctors even during recessions. Cut backs in budgets are definite, but major treatments are mandatory. Recession brings about a hike in the family and public stress levels. Careers as nurses, physical therapists and physicians are likely to do better even in a bad economy. Nurses were paid $64,690, physicians practicing primary care were paid $202,392, physicians practicing as medical specialists were paid $356,885 and physical therapists were paid $76,310 in May 2010. Mental health providers help people by giving them additional support to get through difficult times. They assist people in managing or overcoming mental and emotional disorders and problems at workplace, in relationships or with their families. They work full time in varied set ups, including private practice and mental health centers. A master’s degree and license to practice is must for all mental health providers. They were paid $38,150 in May 2010. Career opportunities are expected to grow by 36 percent from 2010 to 2020. Recession times might see professions of psychologists and other therapists in high demand. Increased public stress levels automatically will hike personal and other interpersonal psychological issues. The demand for energy will always persist. Irrespective of recession, it continues to be the basic necessity of life just like health care. In spite of all the awakening and awareness about conserving energy during the times of recession, its demand is always on a rise. Recession or no recession, home, office or public place....there is no alternative to ENERGY. A career in providing energy remains independent irrespective of any economic scenario. Energy industry employees such as engineers and technicians would continue to be in the limelight of demand. The architectural and engineering managers were paid $119,260 in May 2010. Consistent demand for public safety will lead to new job opportunities in police department. Law enforcement professionals include police officers and detectives. Police officer protects lives and property. Detectives and criminal investigators also known as agents or special agents are responsible for gathering facts and collecting evidences of possible crimes. Their duties depend on size and type of their organizations which is physically demanding, stressful and dangerous. Record of highest rates of on-the-job injuries and fatalities prevail for Law enforcement officers. Education requirements range from a high school diploma to a college degree or higher. Mostly all police and detectives must graduate from their agency’s training academy before they get on job training. The police and detectives were paid $55,010 in May 2010. Expected growth of 7 percent is foreseen for them from 2010 to 2020. The extensive use of the Internet and e-mail has changed the way business is conducted in nearly all workplaces. Written communication to anyone, anywhere in this world can be completed instantly. Information related to any subject faced in a daily job task is retrievable in seconds from internet through numerous search engines. These technological innovations are a blessing to the employers and employees; accomplishing business goals for the employers and performing their duties for the employees. The importance of internet is increasing in our daily lives, making it an ever-expanding industry. Business houses are cutting their budgets and investing that money in technologies smart enough to bring them high exposure at low operational costs. This resulted in increased demand for web designer, SEO (search engine optimization) expert, programmer as well as social media marketer. SEO experts were paid about $50,000 annually whereas computer programmers were paid $71,380 in May 2010. Job Seekers would aim for higher degree and better prospects, increasing the demand of College professors in recession times too. They instruct students in multiple varieties of academic and vocational subjects. Conducting research and publishing scholarly papers and books is also one of the roles they play. They work in colleges and universities may it be public or private, junior or community, career, vocational or professional schools with a flexible schedule outside of class time. Educational requirements for this profession differ largely with the type of educational institution one works with and of course the subject taught. A master’s degree followed by a PhD is required for a progressive career in this profession while work experience is of higher importance at technical and trade schools. The median annual wage of a professor paid in May 2010 was $62,050. Their employment is expected to grow by 17 percent from 2010 to 2020. Ageing population results in increased number of old age people in need of someone to take care of them. Senior care providers or home health and personal care aide in other words are the ones who help cognitively impaired, disabled people or those who are chronically ill. They also assist older adults who may need assistance with activities such as bathing and dressing as well as light housekeeping. In some states, home health aide also facilitates client medication or checks the client’s vital signs under supervision of a nurse or other healthcare practitioner. They need formal training and need to pass a standardized test. They were paid $20,560 and their employment is expected to grow by 69 percent whereas the personal care aides were paid $19,640 in May 2010 and their employment is expected to grow by 70 percent from 2010 to 2020. Insurance industry bringing about a positive change in the medication cost, healthcare industry continues to grow increasing demand for pharmacists and pharmacy assistants. Antidepressants and stress relieving drugs sales is likely to hike during recession. Medication for deteriorating health conditions is mandatory irrespective of the recession in economy. Pharmacy technician assists a licensed pharmacist to dispense prescribed medication. They mostly work in pharmacies, including those found located in grocery and drug stores as well as hospitals. High school diploma is required to become a pharmacy technician whereas some states require completing a formal training program and passing an exam. They were paid $28,400 in May 2010. Their employment is expected to increase by 32 percent from 2010 to 2020. Computer and information technology staff plan, coordinate and direct computer related activities for an organization. Most large companies have ample information technology staff. They mainly work full time for computer systems design and related services firms. Basic requirement is a bachelor’s degree in computer or information science and related work experience. Some of them have graduate degrees as well. The computer programmers were paid $71,380 whereas network and computer systems administrators were paid $69,160 in May 2010 with an expected growth of 18 percent from 2010 to 2020. Nearly all business houses are targeting markets overseas to increase profitability and capture potential of growing international business markets. We are evident that businesses also outsource their work to international markets which offer competitive prices to cut operational costs and streamline their business. Job opportunities for International business professionals are increasing. They were paid $99,180 in May 2010.